*See the calendar at the bottom of the page for upcoming gigs and classes. I play in the Wayne Wilentz Trio, which has been playing Brazilian and American jazz since 1987. 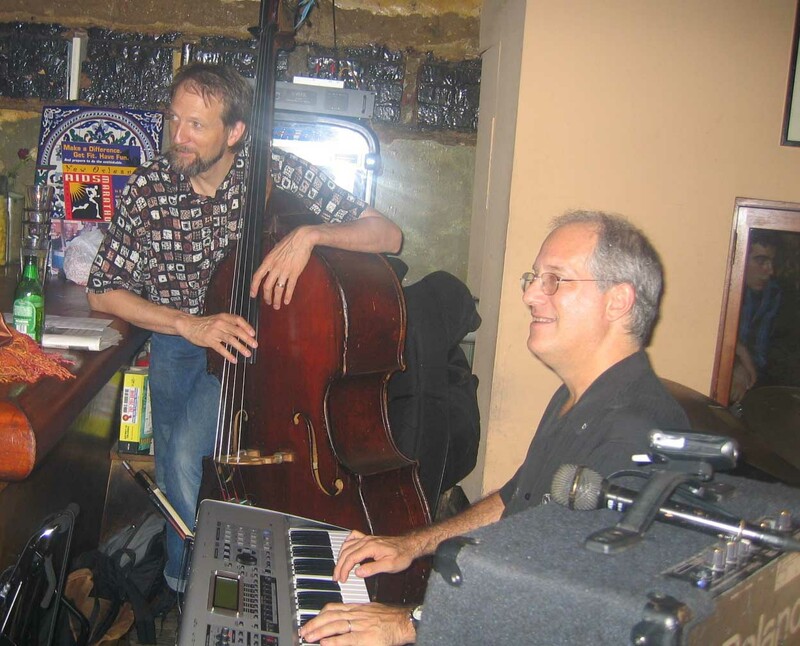 The Wayne Wilentz Trio: Wayne Wilentz on piano, Jim West on drums, David Jernigan on bass. Wayne and I have 2 cd’s: “Recordar E Viver ” and “Wayne Wilentz Trio e nossos amigos.”. Watch this space for upcoming gigs. 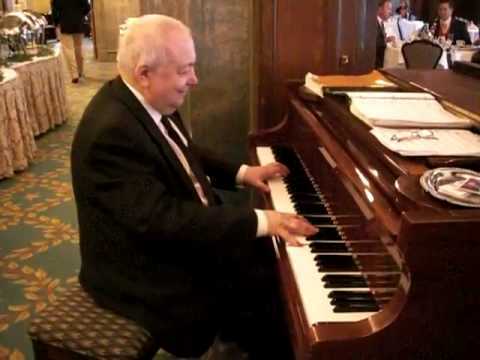 I also played with pianist Victor Prudofsky at the Russia House on the corner of Connecticut and Florida Avenues; currently Victor and our group are mostly playing private gigs. I regularly teach a class to help musicians by applying the Alexander Technique to their work. 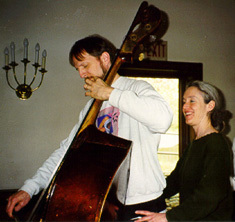 This photo shows one of my Alexander teachers, Marty Hjortshoj, helping me with my poise at my bass. We’ll be playing with sitting, standing, and holding your instrument. Find out how the Alexander Technique can be a constant influence to improve your comfort and your performance. This is an opportunity to drop in regularly and get an Alexander mini-lesson, and also learn from observing the lessons of others. Class size: 4 to 6 people. All are welcome; this class will focus on musicians. Cost: Just $30 for one class / $150 for a set of five.